• protecting quality when liberalising student number controls. This HEPI Expert Policy Seminar will provide an opportunity to discuss in more detail the recommendations contained in the report. 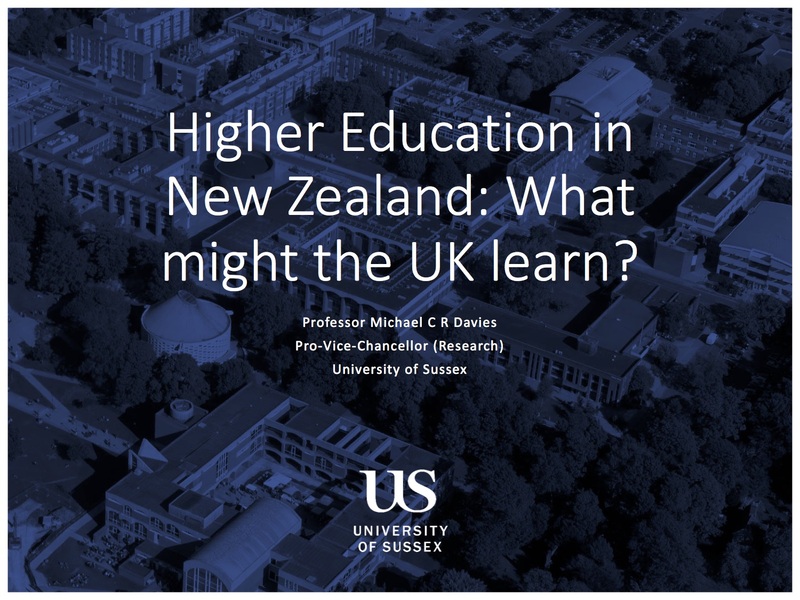 Professor Michael Davies, Pro-Vice-Chancellor (Research) at the University of Sussex and former Dean of Engineering at the University of Auckland (from 2007) where he was also Pro-Vice-Chancellor of The University of Auckland Tamaki Innovation Campus. Professor Davies’s presentation is available here. Introduced by Sir Graeme Davies, Chair of the NZ-UK Link Foundation. Seminar chaired by Nick Hillman, HEPI Director.